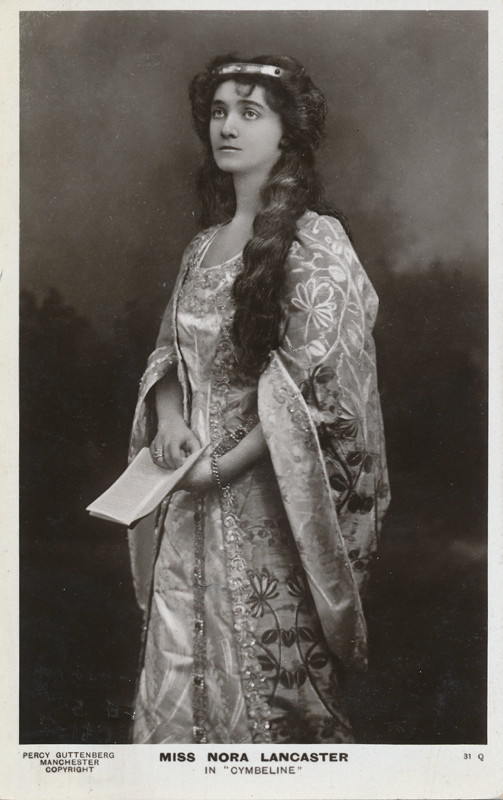 Nora Lancaster, born in London, first performed with Sir George Alexander’s company in 1901. 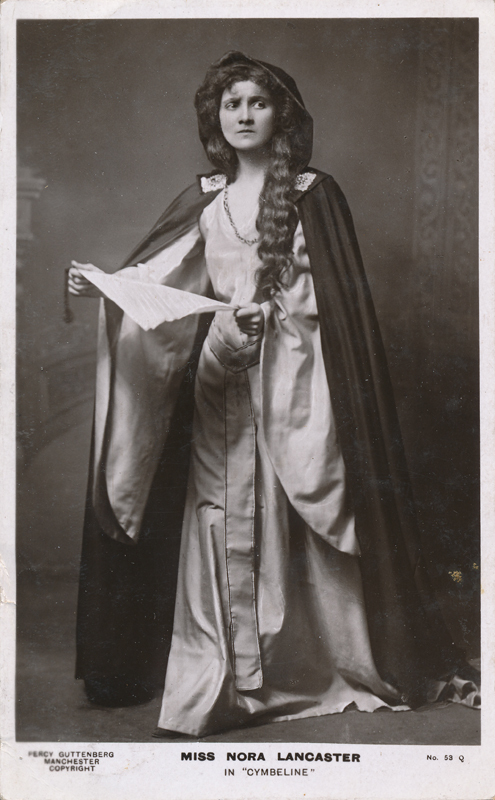 She next acted briefly with Sir Henry Irving‘s troupe and toured America, Canada, and the English provincial cities. 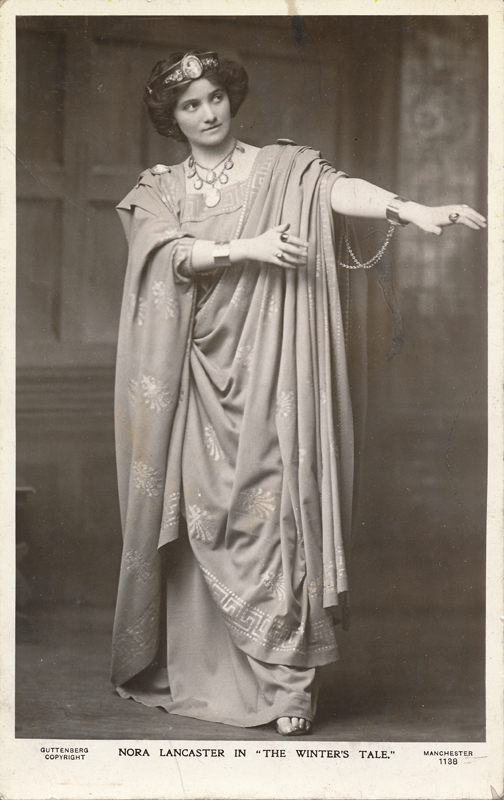 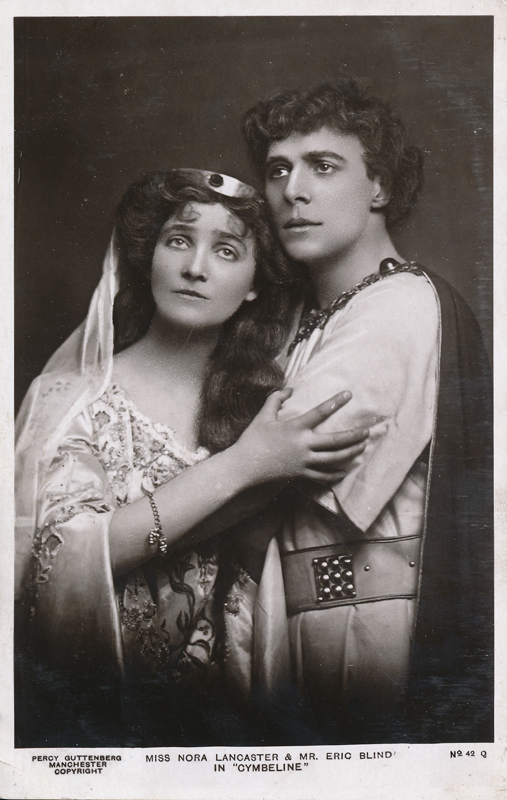 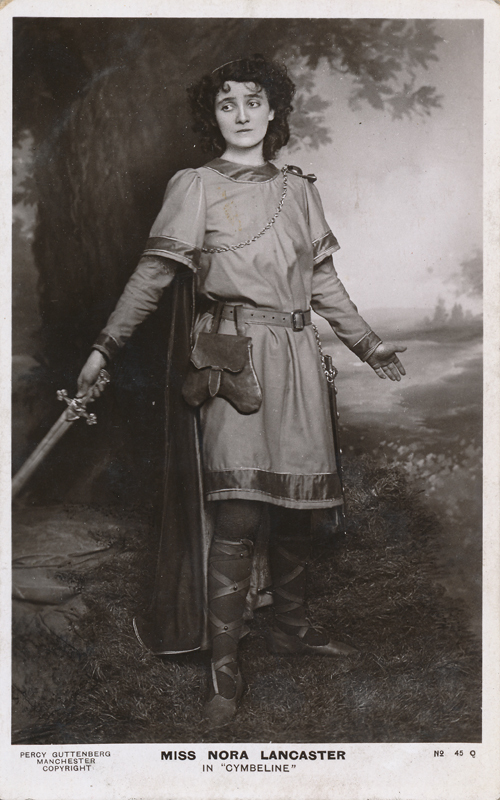 In 1906 she played Imogen in Cymbeline in Manchester’s series of Shakespeare revivals; she also played leading parts with Sir Frank Benson at his annual summer Shakespeare festivals in Stratford-on-Avon. 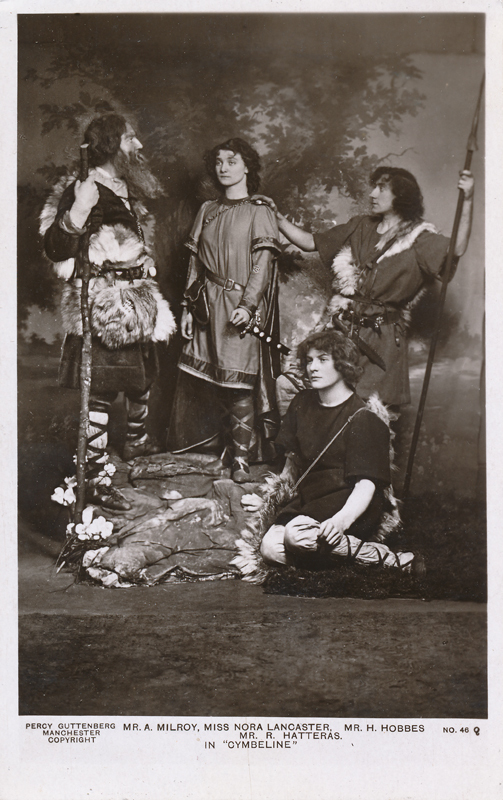 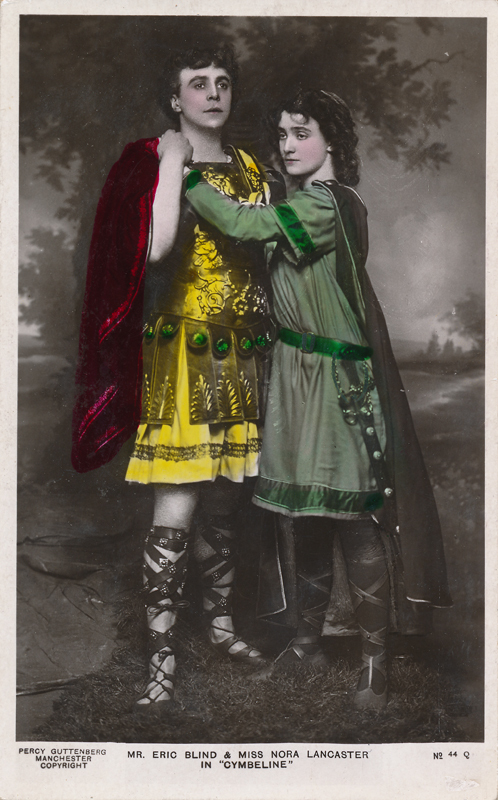 She rejoined Benson’s company in 1909 playing, among other parts, Juliet, Portia and Rosalind. 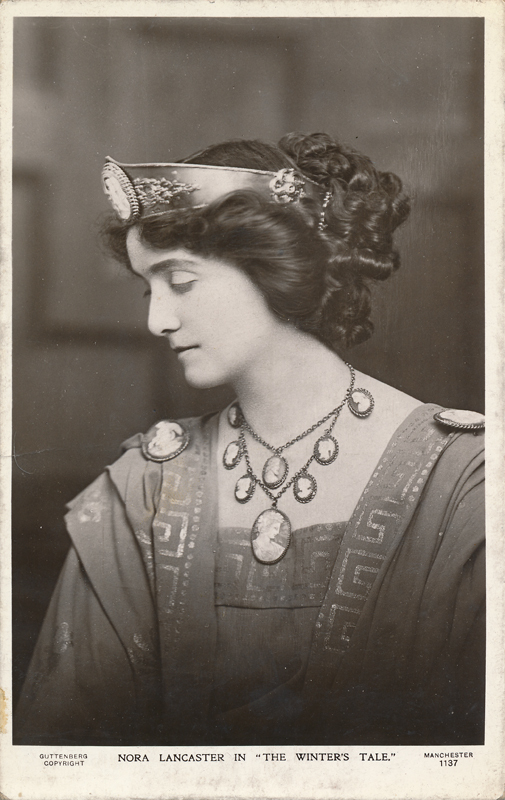 In 1910 in London she portrayed Bianca in The Taming of the Shrew and Virgilia in Coriolanus. 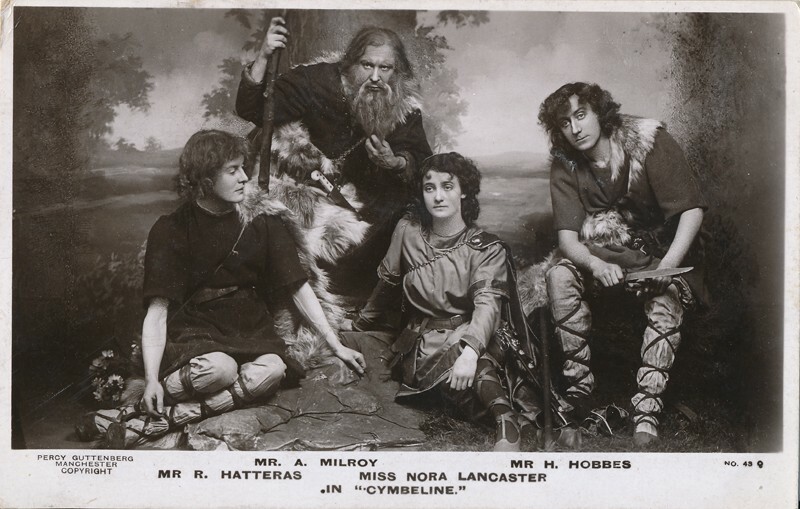 That year she also played Sylvia in Two Gentlemen of Verona and in 1911 Hermione in The Winter’s Tale; she was in her day one of the leading actresses in the Shakespeare repertory.